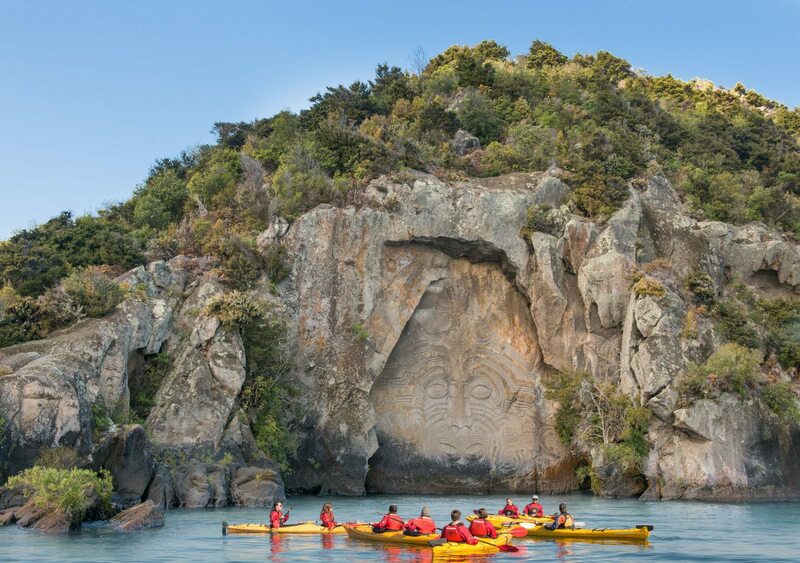 Glide your kayak over Lake Taupo’s crystal clear waters as you paddle to the awe-inspiring Maori Rock Carvings. 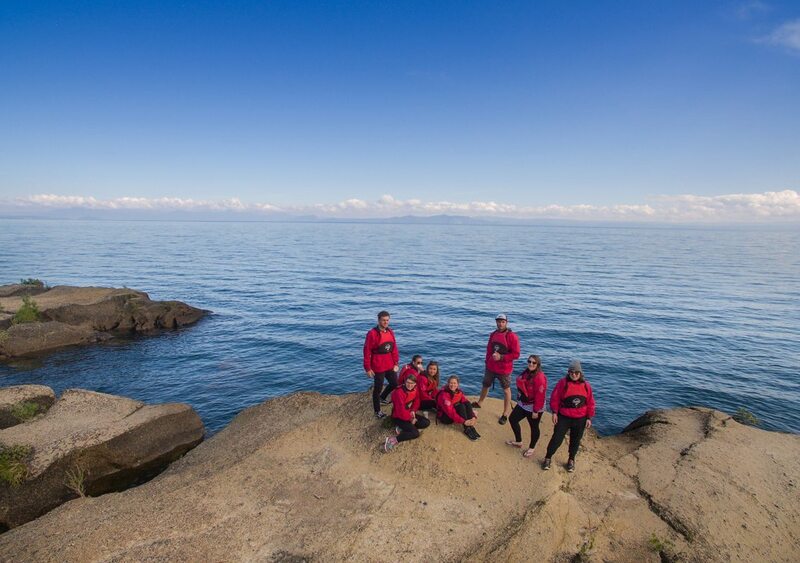 Soak in the view across the Lake to 3 live volcanos while you hear the history of the carvings, various Maori legends and facts of the local area from your guide before enjoying rock jumps and a swim in Australasia’s largest freshwater Lake. 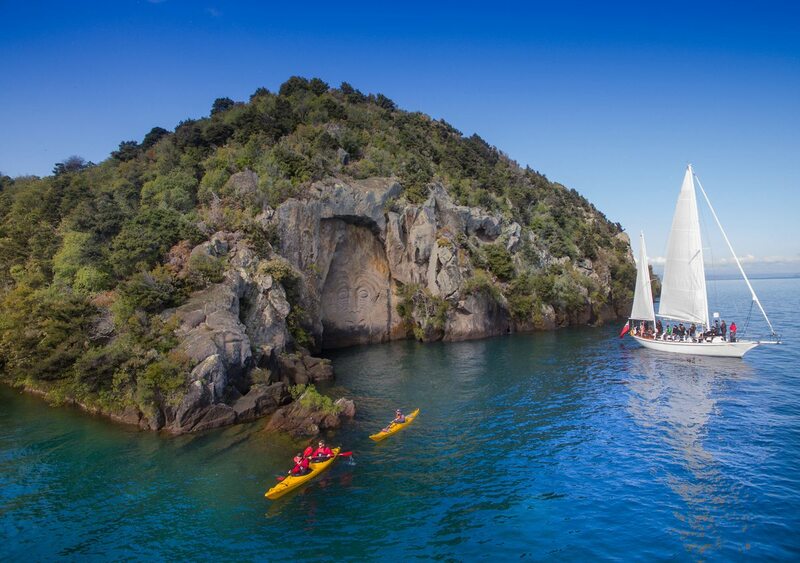 An award winning kayaking tour and a must-do while in Taupo! The tour is approx. 3 hrs on the water (4hrs return trip including transport) depending on group size. 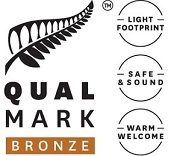 We start and finish at the store (54 Spa Rd, Taupo) so you can leave your valuables in a secure locked area. Had a fab morning out with Rob who was full of local knowledge. Relatively smooth paddle and great views of the carvings. Only way to see them! Would highly recommend. 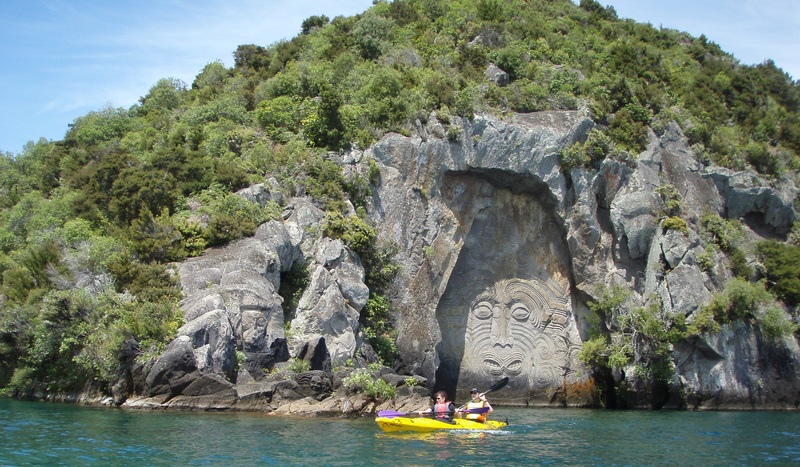 I went for a half day kayak tour to the Maori carvings. 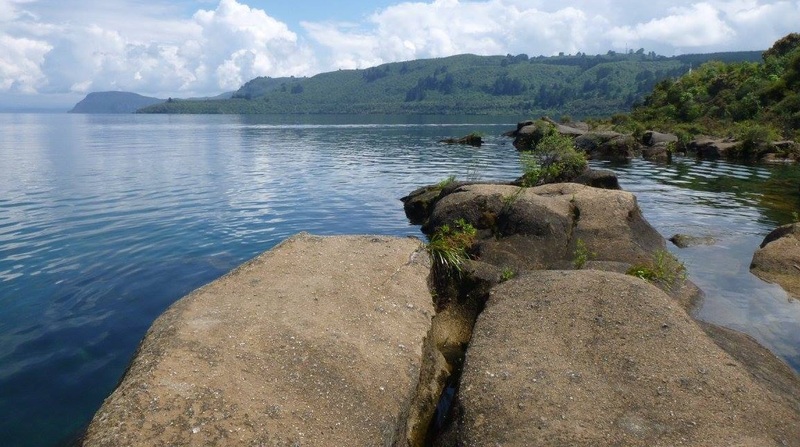 The day was excellent and the weather sunny with nice views of Mt. Doom and the guide was willing to share all his knowledge of the places. A great experience!